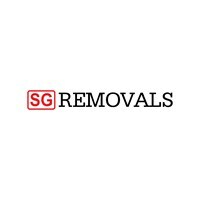 SG Removals™ - Removals/Storage based in Bexhill-on-Sea, East Sussex. From local moving, to Europe or across the world, WE can help you . We have all the knowledge and trained staff to relocate your business . All moves are individual, like any of our clients, because we don't just have customers ... we have CLIENTS . We really believe in " MAKING LIFE SIMPLER "
DISMANTLING , ASSEMBLY or REASSEMBLY of FURNITURE . However stressful moving can be, we will take the hassle of you. We have plenty of experience that allows us to make this process easy and smooth for you. Just give us a call or request an online quotation and we will be there to help. Our friendly teams will always aim to find a cost effective and efficient solution for whatever your needs are.